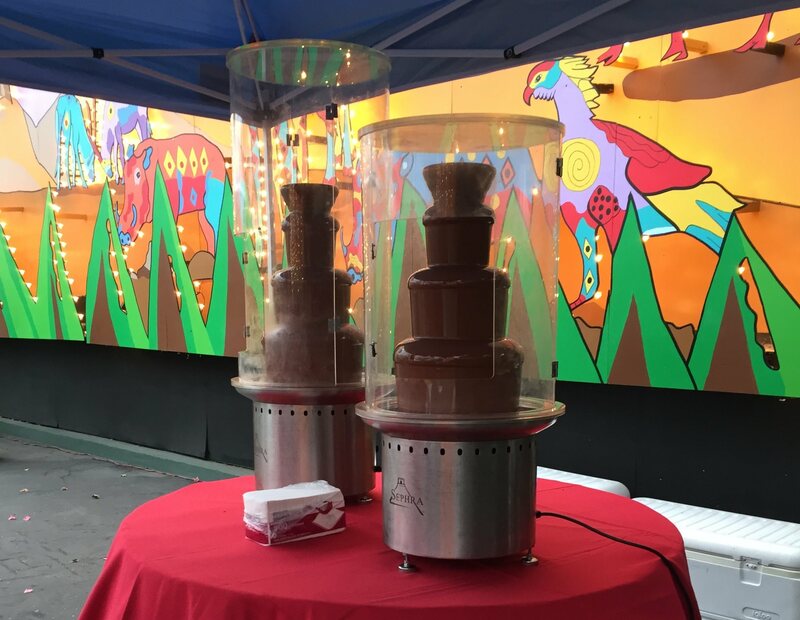 Prom season is coming, and chocolate fountains in a prom is always the most popular table. 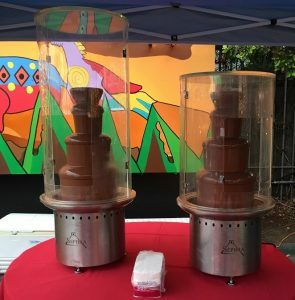 This is the first promo of the year that we provide chocolate fountains to. This one was held at the famous attraction in Balboa Park, San Diego. Staffs arrived early to setup the fountains as well as the dipping items. Strawberry is a must in the dipping items, and creampuffs are also the popular ones, along with marshmallows, rice krispy bites and pineapple. Momentary rain in the late afternoon washed away the dusts in the air, and the smell of chocolate fondue drew the crowds for pictures even before the dinner. With the darkness coming in and all animals asleep, the bright lights illuminated the whole party area and the party “animals” found their territory. With a lot of fun activities, what else would be a better choice than taking a break with the taste of chocolate and your favorite fruits or snacks. Be careful not dropping chocolate onto the expensive dresses or suits. 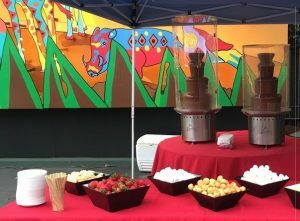 Our staffs were out there to help, but not everyone wanted to miss the fun of dipping a strawberry into the curtain of chocolate flow. What a fun day for the 2015 graduates! The next time they fall in love, it will be with chocolate.